Palm-sized football award made in resin with bronze and gold colour finish and including a base with engraving plaque. 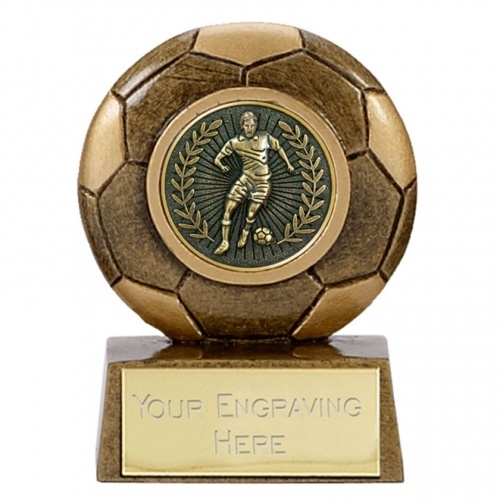 These versatile football trophies are perfect for children's awards. They stand 6.5cm / 2 5/8ths inch tall and are offered with engraving options.